Morphy the Robot was the centerpiece for a recent experiment conducted at the University of Washington's Institute for Learning and Brain Sciences. 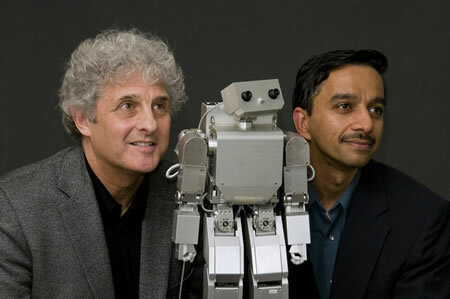 It appears to demonstrate that babies treat expressive robots as if they are human beings. The babies who watched this skit looked back and forth between the robot and Brooks as if "at a ping-pong match," said Brooks. After the skit, Brooks left the room, leaving the baby and the robot alone (well, along with the baby's parent--this probably isn't a punching or stabbing robot, but there's no harm in being extra safe). The robot would then beep and shift slightly to get the baby's attention, and then turn to look at a nearby toy.